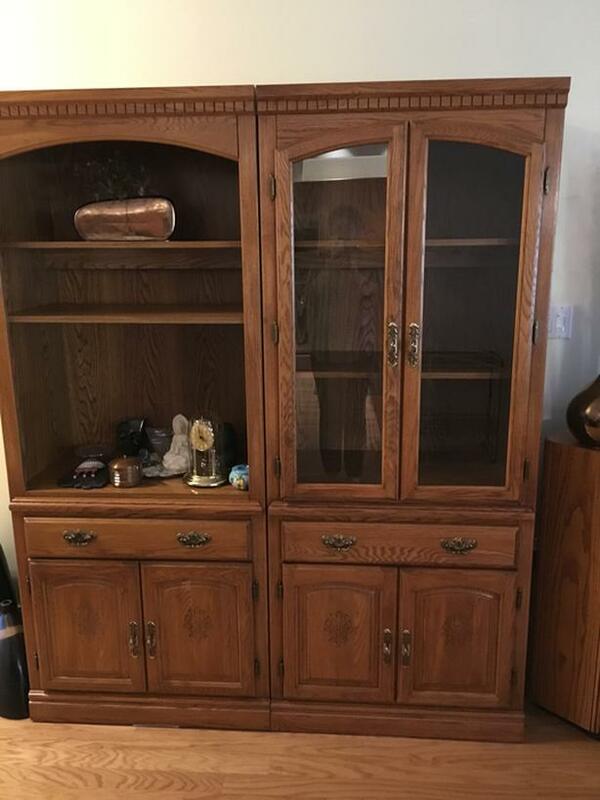 Excellent condition 2 piece oak Palliser wall unit. Double glass doors on one unit. Open shelves on the other. Both have a drawer and wooden doors on the bottom. LED back-lighting in both units.